The New Zealand Defence Force (NZDF) has launched a scientific device – a moored wave buoy – about 10 kilometres south of remote Campbell Island in the Southern Ocean to study waves described as “liquid Himalayas”. It is the furthest south such a device has ever been launched. 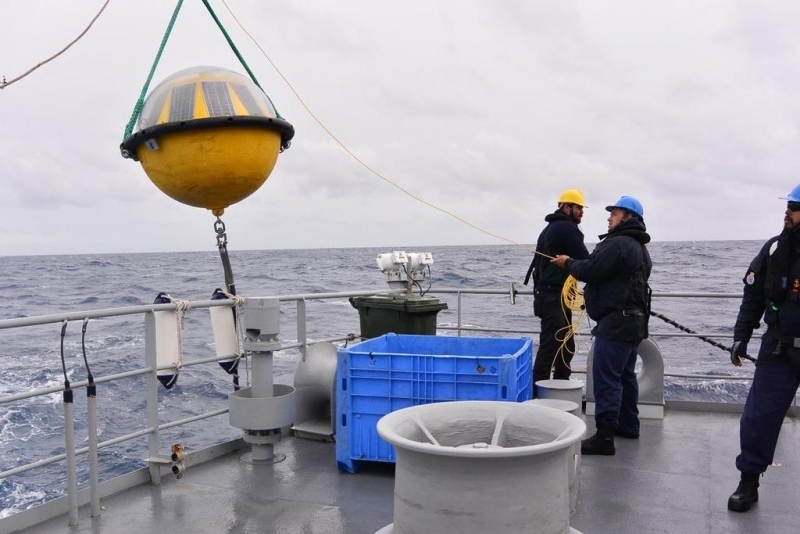 The wave buoy, which is part of a collaborative project between the Defence Technology Agency (DTA) and MetOcean Solutions, was launched from offshore patrol vessel HMNZS Otago about 7pm yesterday. The ship is on a resupply mission to sub-Antarctic Campbell Island, home of six species of albatross and the world’s rarest duck, from 7-20 February to support other government agencies. 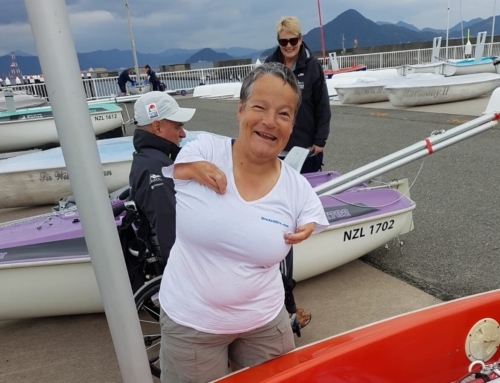 DTA researcher Sally Garrett who is also the Commodore of Royal Akarana Yacht Club and winner of a Yachting New Zealand Service Award for her ongoing development of offshore safety, said the wave buoy would be used to gather data like wave height and wave direction over the next six months. “Southern Ocean waves are described by sailors as ‘liquid Himalayas’ and remain largely unstudied, including our ability to forecast them. The wave buoy will characterise what waves are present, and this information will help us assess how well our forecasting models are predicting these waves,” Ms Garrett said. 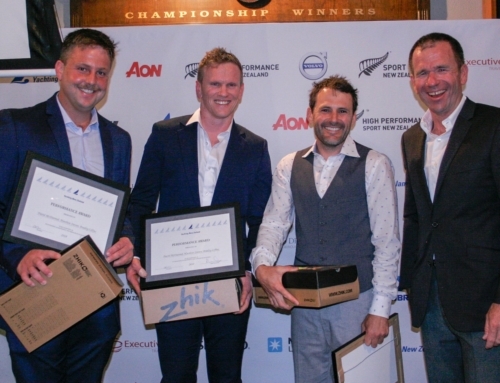 “We will also be able to use this data to hopefully improve forecasts for races such as the Volvo Ocean Race, Vendee Globe, Clipper Round the World Race and for RAYC run events such as Auckland to Fiji and Auckland to Noumea,” continued Garrett. Launching a wave buoy so far south had not been done before because of the environmental difficulties, she said. Lieutenant Commander Andrew Sorensen, the Commanding Officer of Otago, said the ship had supported vital scientific work on numerous missions in the past. “But given the rough weather and complexity of launching the buoy with 500 kilograms of tackle attached there was both a sense of relief and excitement yesterday evening, knowing that this is the furthest south a buoy has ever been launched,” he said. RAYC Patron Commodore Jim Gilmour, the Maritime Component Commander, said the wave data gathered by the buoy would be transmitted back to New Zealand and studied, and would be used to help design the Navy’s third offshore patrol vessel. “The data will be useful because waves affect all facets of operation in the Southern Ocean and Ross Sea, from the design of ships to day-to-day planning,” Commodore Gilmour said. The DTA is the main provider of research, science and technology support to the NZDF and the Ministry of Defence. MetOcean Solutions is a New Zealand-based consultancy providing specialist numerical modelling and analytical services in meteorology and oceanography.